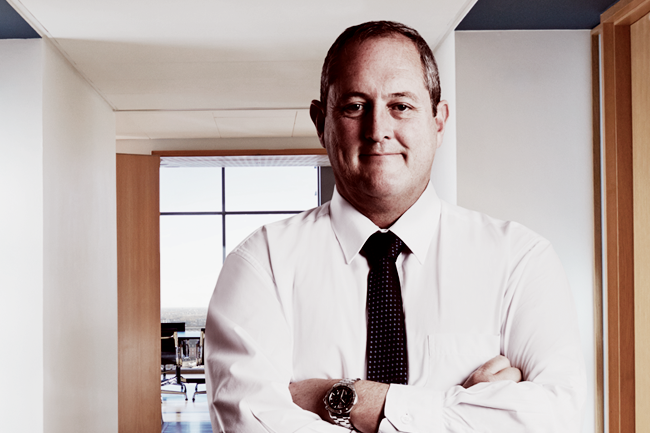 Eddie Smith, CEO of Trysome, says the firm’s focus is on product innovations that will help ensure the protection of the mining sector’s greatest resource – its workers. The harsh environmental conditions under which mining takes place necessitates a large number of layers of protection, for both human operators and mining productivity. Technologically advanced safety equipment and systems can be complex given that not only are they driven by legislation but also a mining company’s concern in ensuring seamless continuation of its operations. 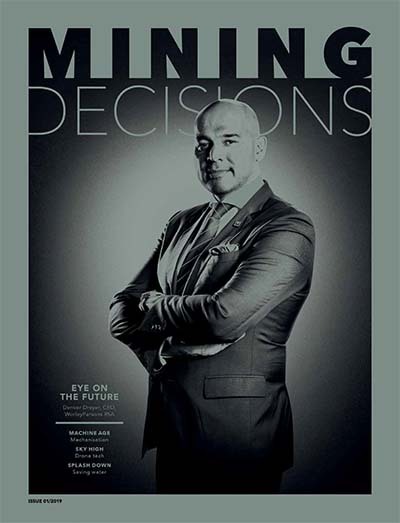 Eddie Smith, CEO of Trysome – the largest single-source supplier of heavy-duty, autoelectrical components, related services and collision avoidance systems in Southern Africa – says that despite the best efforts of mining operators, accidents still occur – particularly collisions involving mining equipment. Smith is confident in this fact, as Trysome is the sub-Saharan Africa representative of the SAFEmine Collision Avoidance and Traffic Awareness System – which it helped develop for its Swiss-based parent – and has done so since the launch of the product in 2008. The collision avoidance system comprises a SAFEmine main unit and antenna; rear-view cameras; preview radars and an optional SAFEmine fatigue monitor. ‘It is endorsed and operated in over 20 000 mining vehicles in more than 45 mines worldwide, with many mines reporting a significant decrease in their number of collision incidents,’ says Smith. The prevention of vehicle collisions is given far more weight than one may think in current times. While such incidents generally fall under the entire safety regime of a mining operation, with management playing an integral role in highlighting the human factor as a frequent cause of accidents, more still needs to be done by many stakeholders. Trysome is therefore exceptionally pleased that new legislation in South Africa (and proposed for many other nations) has created the platform for rules that require collision avoidance technology at mine sites. ‘At Trysome, we have been living with a safety ethos since our inception in 1991. 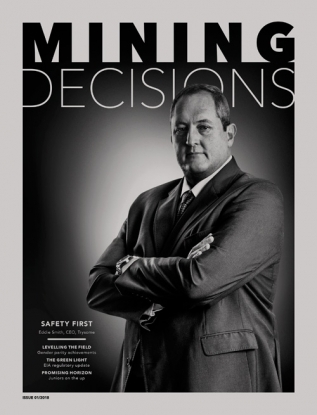 SAFEmine is comprehensively supported by a number of other systems and solutions that are fully compliant with South African Department of Mineral Resources legislation, such as the new trackless mobile machinery [TMM] safety regulations that came into effect in May 2015, and must be adhered to in full by June 2019.’ The TMM regulation means surface mining operatives are compelled to install ‘fail to safe’ methods that reduce vehicles to a safe speed automatically. All Trysome systems are designed to protect drivers and operators from collisions in busy surface mines – particularly where large haul trucks interface with smaller vehicles and personnel – something that has been a major industry focus for years. ‘With all our product innovations, the focus is on maintaining maximum uptime while reducing costs and ensuring the safety of a business’s most valuable asset – its people,’ says Smith. This has culminated in Trysome’s corporate promise of ‘keeping Africa’s resources moving safely’ and the resulting launch of innovative technologies and legislatively compliant solutions that specifically target the human element challenge of mining. The slogan is also a touchstone to remind Trysome stakeholders of its commitment and contribution to Africa’s economy. 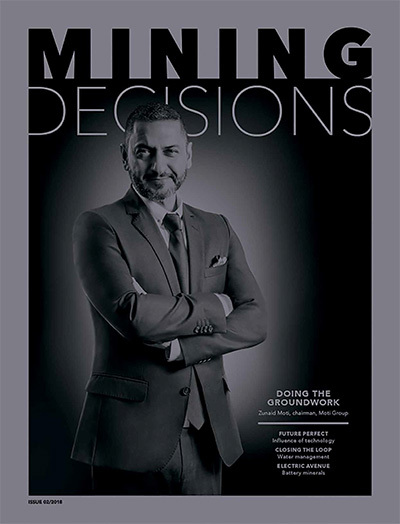 ‘While economic growth, environmental protection and social responsibility may be three pillars for sustainable development of mining in the 21st century, they are also foundational to Trysome’s product and service offering, with current and future product developments aligned to social responsibility,’ says Smith. These tenets are also relative to Trysome’s expansion in Africa, particularly with a focus on balancing safety improvements. Its current footprint on the continent outside of its six regional operations in South Africa includes branches in Jwaneng and Letlhakane in Botswana; Tete in Mozambique; Kitwe in Zambia; an authorised distributor in Namibia; and the in-progress addition of Zimbabwe. Exports go to Angola, the DRC, Kenya, Malawi, Swaziland, Tanzania and Zimbabwe. All branches are sited in communities where mining operations develop so that Trysome can contribute to local upliftment, be that through employment or spin-off fledgling business development. A Southern African Trysome technical fleet is also available for deferment to areas when required. This 150-large team is able to quickly and seamlessly set up mobile offices on customers’ sites for a prescribed period, making use of consignment/critical stock warehouses based on customer requirements. Such teams have performed in the DRC, Burkina Faso and Ghana, for example, ‘proving there really are no borders to our product and service offering’, says Smith. With expansion for Trysome determined by new legislation (domestic or global), technological advances and customers’ needs, the company is also receptive to new, complementary businesses, such as its latest unit called HarnessPro – which is focused on the manufacture of automotive electrical harnesses. These serve to transmit a series of signals or electrical power between sets of connectors or termination points. Harnesses are extensively used in all vehicles, mining inclusive. HarnessPro, SAFEmine and the entire Trysome range is supported by a complement of fully qualified electric and electronic engineers, whose main focus is to fault-find, undertake accident report analysis, product enhancements, customisation and develop existing products. ‘To ensure we employ the latest and best engineering skills, we have also developed an alliance with a reputable university where we source scholars for bursaries and future employment,’ according to Smith. The latter remark speaks volumes about how Trysome contributes to the transformation goals of South Africa, and it is pertinent to note that long before BEE was formalised, Trysome embraced inclusivity and diversity in its management structure, as well as through recruitment and buying policies. Its shareholding, for example, includes a 30% black strategic business partner, Kuseni Dlamini of KDI Mining, whose impressive CV lists Anglo American and De Beers as previous associates.